I have an AMAZING giveaway for y'all today. I'm seriously OBSESSING over these necklaces, they are just so freaking CUTE. They come in the cutest little packaging too, I don't know why this makes me love it even more, but it does. They are called Living Lockets and you can pick your charms, chain, the locket, the medallion, EVERYTHING. Totally customizable, which is why I'm pretty sure this will be the perfect go to gift for all the ladies in my life. My Locket Consultant Trisha helped me make the perfect one and she was sweet enough to design one for one lucky winner. You can visit her website here and check out all of the beautiful options. Good Luck! Giveaway ends 2/28. I love the crystal cross with the oval flat chain with the "life is a gift dangles" in the medium silver locket. Honestly, I would buy ever piece on the site if I could! These are my favorite... Been wanting one for a long time! I love this!! So many people are talking about them!! These are beautiful! I love the Eiffel tower and artist's palette charms. These are beautiful! I love the Eiffel tower and the artist's palette charms. Those necklaces are super cute! I love how personalized they are. Holy gorgeousness! I can totally see why you are in love with these! These are darling! I love this idea!!! So cute! Love the enamel owl!! I love the Vintage cross in Silver! I love the Butterfly and Red Cardinal, they remind me of my grandmothers! I love the Fire Department maltese cross! My BF is a fire fighter for a local department, and it means a lot to him, so it would be cool to have that part of a locket for me! These necklaces are so cute! I'm a new follower to your blog. I love the vintage charms and also several of the crosses! I am loving the medium silver locket with crystals! Thanks for this awesome giveaway! There are so many I would choose from! I love the I love shopping one,the camera one, the high heel, the police badge (im in law enfrocement), and I already have an entire necklace made up in my mind for my sister who is a DG. My favorite charm is the Anchor...totally obsessed with them! These necklaces are just too adorable!! The faith charm is my fav! These necklaces are so cute & creative! LOVE! Oh goodness I love so many of them! I like the running shoe. I love the vintage typewriter charm! Too cute. I can't pick just one charm. I like some of the faith, sports, vintage, charms,etc. I would get the one that has "inspiration" since that is my word for 2013. Love following you in social media. Keep up the hard work and keep me inspired!! My favorite charm is the camera!! I love these! I have never seen these before, but I am in LOVE with them...Too hard to pick a fav, but I would love to get one for the girls/women in my life!! Thanks! I have never seen these before, but LOVE them!! Not sure I could pick a fav, too many to choose from. Great gifts for all the women/girls in my life!! Thanks!! And by the way, you are such an inspiration !! I love mine! Got one for my daughter too, can't have too many though! I love the LOVE charm! Love the silver infinity charm! My favorite is the running shoe charm. I love the music notes and the cat! Love this giveaway! I love the Petitie Bloom dangle! I love all the bling charms! I love the owl with the jeweled eyes, so cool!! So cute!!!! I love the glitzy initial! Oh my gosh those are so cute! Love the little doggie paw for my pup! Oooo I already have one, but whats one more?! I love the I <3 NY charm! I love the "I <3 NY" charm! A girl I went to college with had one of these from her husband....so sweet! A girl I went to college with had one of these from her husband...so sweet! I love the suitcase charm because we love to travel! I have had my eye on these for a while! ive already designed it in my head! PICK ME! Love all the rose gold lockets and the owls! So cute! I love the I am Fearless tags. I want to get those for my daughter. I love so many of these! I would love to make one for my mom and my sister. They are all so cute! I love charm necklaces! Wear them everyday! These are an adorable idea. That is a really unique gift I could definitely see myself giving to someone! How do you pick just one?! Love the footprint in the sand and the mom charms. Very neat idea! Love your blog as well. You're very motivating!! Keep up the fabulous work. Omg these are adorable! I love the flip flops! Love these necklaces. I am so sentimental and these are so perfect!! I received my first one for a Christmas gift this year and I absolutely love it! Thanks, Megan for the chance to win another one! Love the red shoe charm and the camera...adorable! I love the sand dollar. I just love the letter L charm. I would add it to remember my grandma who passed. Her name was Lena. Love the silver infinity charm! All of the products are cute! I would have to pick the MOM charm first. I love being a mother!!! I love the running show charm! I love the believe plate! My favorite charm(s) would probably be the fluer de lis and the little blue suitcase. I keep obsessing over a trip to Europe my daughter and I took a couple years ago. I love the "silver infinity" charm! Must have one of these! They are so beautiful and so individual. So cute! Of course I love the dog charm! I immediately was drawn to the "I love you" hand sign and the "I love you postcard". Seriously cute. I love the little birthstones, so cute! I love the london telephone and the book!! OH MY GOD....this is soooooooo ADORABLE!!!!!!!! Holy cute-tastic! Let me win! They have a margarita Charm?! YES. Except I didn't find any running ones. Drat. I'm still all for a Margarita though. Or something flashy. Or something sentimental about my kid and hubby. or a margarita. I love these!!! I 'd get my sorority letters (Kappa Alpha Theta, and a gear, because I'm a girl gearhead). Such an awesome company! Glad they're on my radar now! OMG!! Love the living lockets!! I hope I win but if not, I'll definitely own one of these!! I love the running shoe! Love the heart shaped birthstone! 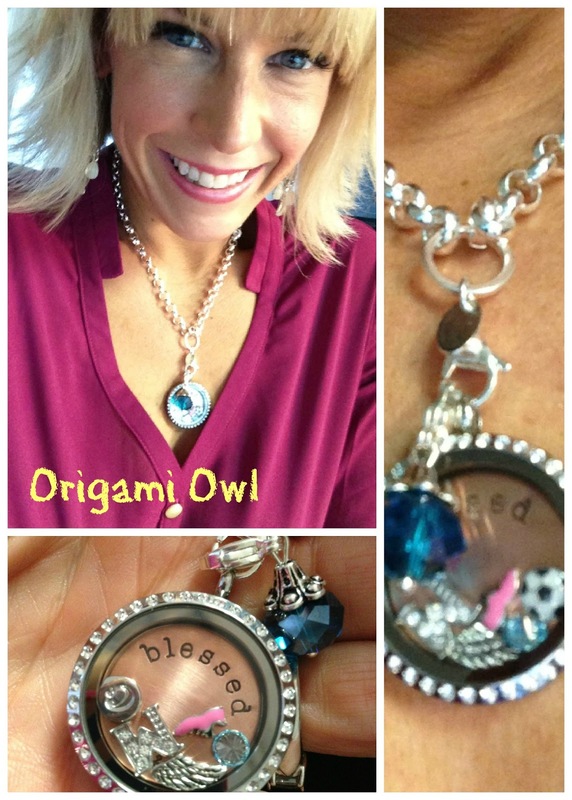 I LOVE Origami Owl!! I've wanted one since I gifted one to my SIL. I just have a hard time choosing what to put in it! Thanks for the giveaway! I love the RN charm! I'm starting nursing school in April so that would be perfect! These are too cute!! I would pick the L and the J!!! These are so pretty! I love the anchor charm! I already have one that is gold and I REALLY want a silver locket!!! I love your blog and I love these necklaces!! Such cute stuff! I have loved loved charm necklaces etc for so long, but have never indulged my "Want" for one yet. I have a hard time spending money on myself! so cute! I want one, new follower here so inspired! All of these are so stinking cute!!! I love the anchor and the world... there's so many of them that I like! Genius idea. Seriously. These are so cute! I love the idea of personalized jewelry. These are so cute! My favorite is the owl! I love the blessed disc! Love the owl charm with the blue eyes! I like the family heart charm! I have never seen these before but now that i have i need one! these are so cute! Being in the field of IT I love the laptop. So cute! Usually these type of necklaces look like they are for kids, these are elegant! Omg I love the anchor... I love them all!!!!!!!! 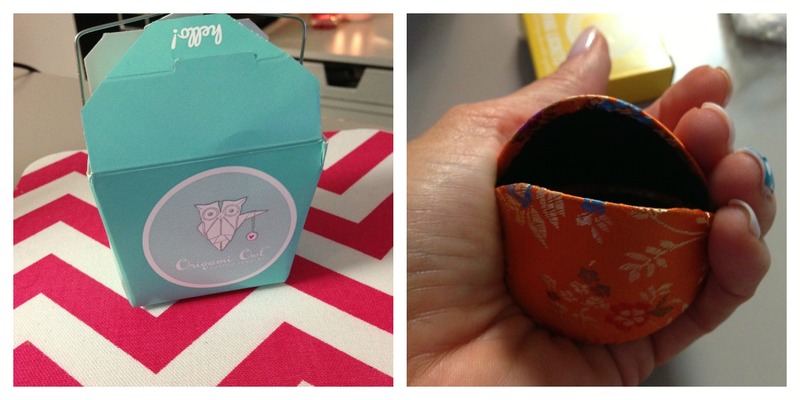 So cute, what a clever idea! I really like the family forever charm. I adore my three boys and my husband, they are my everything. What a great Mother's day gift idea!! I love the running shoe charm! I love the running shoe charm!! LOVE the Angel one...I have always been into angels so this would be special. And the birthstone...and i have a big birthday coming up so would like something to represent that! i could go on and on!!! :-} very cool giveaway! love the wings and the little running shoe! I am loving the vintage charms, especially the coral cameo. Such a neat idea! Thanks for the opportunity to let your readers win one! I love the silver cross with the rhinestones! I love the Eiffel tower! Went to Paris & I miss it so much. that is so neat! I love that idea! and this one is so gorgeous!! Thanks for the chance! I love the owl charm! I love the suitcase charm. We just got home from the most WONDERFUL vacation to Hawaii! I love the "I love to read" charm. Totally suits me! And the hummingbird charm for my grandma- she loved hummingbirds. I think I would get the medium silver locket. Those things are so cute! I love all of them! I think I like the vintage angel wing or owl charm the best though. I don't think I could pick one! Key to my heart is great! I love the little bike and running shoe, I teach spin classes and love running so those are my two favs! I love these! I have never seen them before, they are so awesome! I would L-O-V-E to win one! PS...you are equally as awesome! Love your blog! I love the hummingbird and the camera charms. They are all so great. Thanks for a great giveaway! Love the owl also !! There's way too many charms to pick a favorite. I love the owl one on the main page! Love this giveaway! These necklaces are just too cute! These necklaces are too cute! Crystal Butterfly... Whenever a butterfly crosses my path I think of my Grandma. Miss her EVERY DAY! I love the apple because I'm a Kindergarten teacher! I love the vintage charms! These are so cute! Love this giveaway!! So cute!! I love this giveaway. What an awesome giveaway. Love these necklaces! I have been wanting one of these for sooo long. I love the running shoe, a number 5 for 5 members of my family, scissors for being a scrapbooker, oh and of course a camera! Love everything. I have been wanting one of these lockets for so long!! I love this giveaway. I would pick the softball charm. My daughter and I both play softball. Love the sewing machine. Wish there was a 13.1 charm because after I run my first half I'm putting that on everything! I love these necklaces!! I got my mom one for Christmas and now I've been wanting one. I love this idea. My favorites are the plane and the cameos! I love the camera charm! 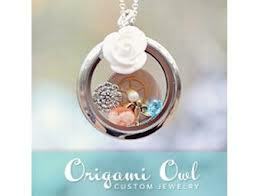 GAH I love Origami Owl and would love to get a weightloss inspired charm necklace! These are too cute!!! I want one!!! !